I love this idea I saw over at Just a Girl. 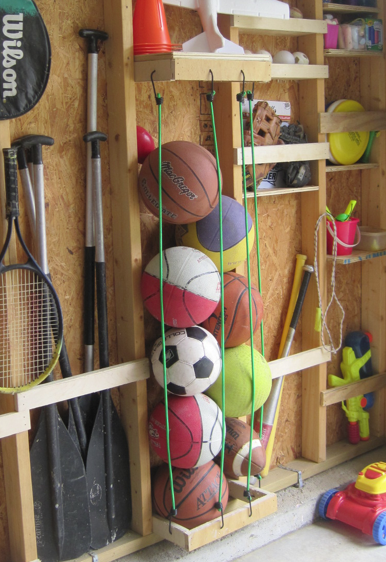 Wendy came up with a great way to use studs to create handy and inexpensive storage in her garage. I especially love the bungee cord idea to keep all of the balls in place. So clever and something I will definitely figure out how to use in our next garage. You can check out the rest of her great DIY Garage Storage ideas over at Designed to Dwell. I love this! not only does it hold your balls but it holds the bunnies until you need them!